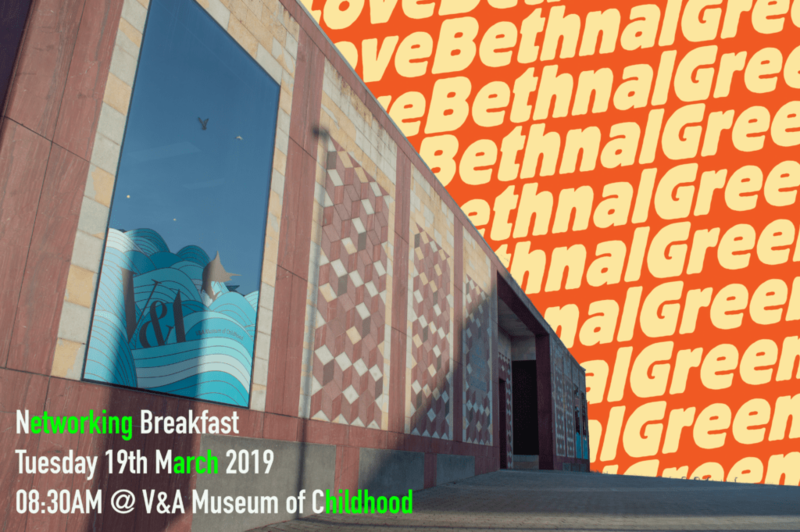 We are really pleased to announce that our latest breakfast will be hosted by the iconic V&A Museum of Childhood located on Cambridge Heath Road. Our networking breakfasts are always an awesome opportunity to meet fellow Bethnal Green businesses, organisations and people whilst enjoying a hot drink and a good ole’ pastry at the same time. The atmosphere is relaxed so don’t worry if its your first time attending; we’re a welcoming bunch! It’s also really great to be hosted by the museum as it is going through a really cool transformation process which will see its collections double in size! Whilst providing an amazing backdrop for children and their families to explore. More detail to follow on guest speakers, and on next steps for LoveBethnalGreen. Tickets for the event can be found here. We’re looking forward to seeing you on Tuesday 19th March! It’s September and it’s time to get back in touch with what’s happening here in Bethnal Green. As the uniforms are dragged back on and the shorts find their way back to the bottom of the drawer, we’ve picked out some key bits and pieces for the month where Virgo meets Libra. So as the signs of the Zodiac and the seasons change, we can be re-assured that #E2 is consistently delivering the goods – it’s a pleasure to shine a light on such a variety of excellent activity. Round off the last weekend of the school holidays with the return of St. Margaret’s ever-popular family day Jamboree. This year they’ve curated even more excellent activities for the whole family, with a special focus on creativity and wellbeing. They have teamed up with some long-time friends of St. Margaret’s House to bring us a wonderful mix of activities throughout the day, so make sure you get along to say farewell to the summer holidays. Booking is required for some of the sessions to avoid disappointment. Join East London Chamber of Commerce for their ‘Time to Talk Business’ event and take the opportunity to network with up to 80 local, like-minded business professionals in a relaxed and informal atmosphere. 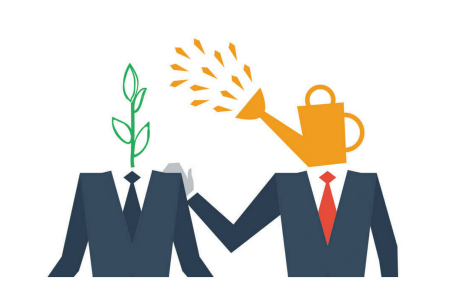 We speak from experience when we say that attending this monthly event is a great way to strengthen existing relationships and create new business opportunities. 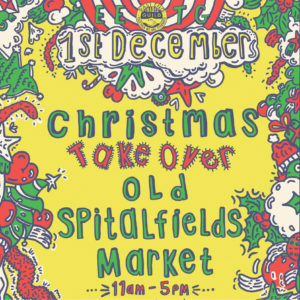 Come along and let the rest of the east end know what you’re up to here in E2. Book now, & use the free guest code TTSEP2018. The relentlessly rhythmic and colourful sounds of Kokoroko have been captivating audiences around the London live scene for many years. Their intrepid horns, polyrhythmic percussion and Jazz arrangements coalesce to create one of the most unique and soul-lifting Afrobeat sounds around. This one is not to be missed, and to entice you in, we’ve teamed up with our pals at Rich Mix to giveaway two tickets to the show. Just subscribe to our newsletter, and we’ll pick a winner at random from our new subscribers in September. Or if you want to guarantee not to miss this show > cop your tickets here. Inspired by the greats of West African music such as Fela Kuti and Tony Allen, the band simultaneously bring energy, atmosphere and a sense of escape to every live show. Join the under-the-radar heroes at Backyard, for a night of comedy covering all things health and medicine. Contrary to popular belief (and lazy comedy writing) laughter isn’t the best medicine, but it will take your mind off the fact we’re all falling apart at the seams. An amazing lineup of comedians and doctors tell you everything you did (and didn’t) want to know about staying alive in the NHS. Below are a few of the lineup highlights – don’t miss this unique confluence of the hilarious and the biologically knowledgeable! Kwame is a comedy writer and performer, who works as a Junior Doctor in the NHS. 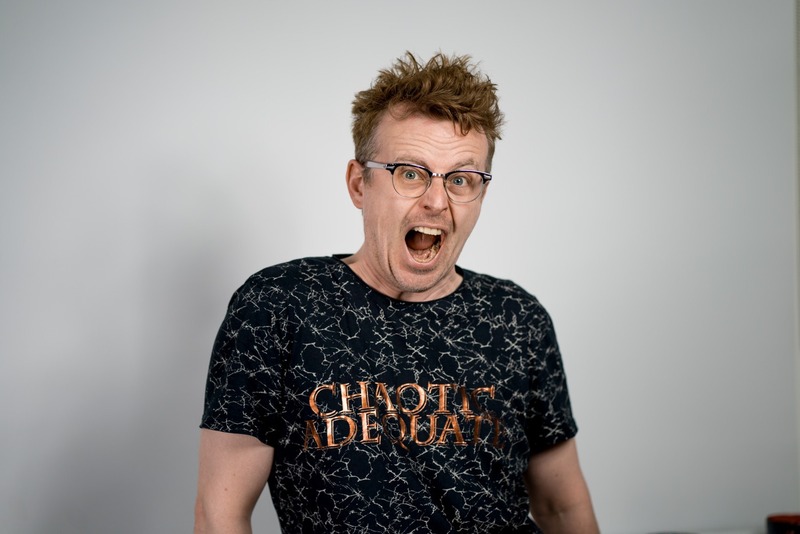 Steve is a geek comedian, presenter and producer. He is the founder of Science Showoff, Museums Showoff and Bright Club. Join Feminist Fightback for their monthly film screening. Exhibiting anger/ joy during the film at oppressive behaviour/ high points of struggle is very much encouraged, so if you’re feeling like venting, this could be the evening for you. The group always has a discussion after the film, and drinks and snacks will be served too. For details of the film screening this month, search for ‘Feminist Fightback Film Club Presents…’ on Facebook, or email feminist.fightback@gmail.com to be added to the mailing list. There’s a lot of great stuff bubbling at TheCommon House – a real hidden E2 gem. There are lots of ways that London Borough of Tower Hamlets supports local business, regardless of what stage of the entrepreneurial journey they are at. LoveBethnalGreen.com wants to provide up to date information on what those offers are, and how you can access them, so please check back to this very section of LoveBethnalGreen.com, and we will keep it up to date with the latest offers. And if you aren’t sure what support will work best for you and your ideas, please fill out this form and someone from the Enterprise Team will be in touch. This month we look forward to some lesser known happenings that E2 has to offer in August. There is such a huge amount that goes on in this pocket of London, we’re looking to really celebrate the sheer range of activity that businesses and organisations put together to keep us challenged, intrigued and inspired. Remember – if you have anything coming up that you would like us to promote on your behalf – simply tag @LoveBthnlGreen on Twitter or Instagram (no vowels in Bthnl!) and use the #E2ToDo, & we’ll help get the word out. To August! Sara Pascoe is becoming a staple of the panel show circuit, with regular slots on ‘Have I Got News For You’, ‘QI’ & ‘Frankie Boyle’s New World Order’. She brings a refreshing blend of matter of fact, deadpan realism to the table, and never seems to over-cook it, relying more on her capacity to connect with audiences in an understated way. Get over the intimate surroundings of the Backyard Comedy Club to see her re-work some material before heading out on tour. It’s time to get together again for our partnership meeting, bringing together businesses, organisations and individuals who live in the Bethnal Green area to hear what they’ve got coming up, and offer them support to really promote themselves via our channels and activities. This month, we’ll be looking ahead to Social Saturday in October, when we’ll be shining a light on the excellent work of social enterprises across the area. Come and have your say! 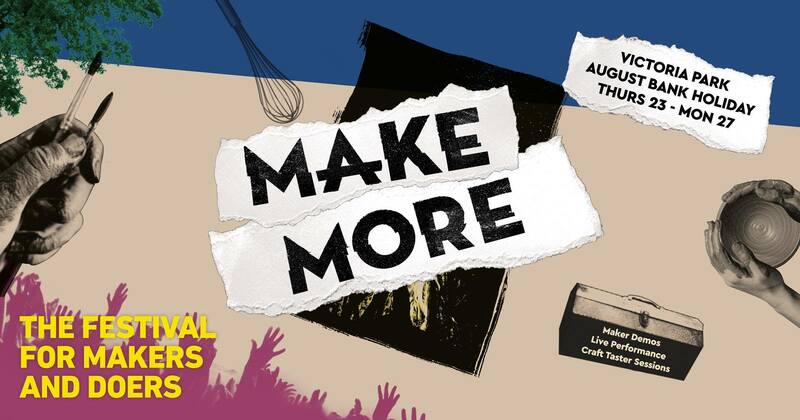 MAKEMORE is a new kind of festival – a festival for your hands. Come and spend the day having a go at all different kinds of making, under the expert guidance of some of the most exciting makers working today. You can discover what kind of maker you are through a series of quick hands on activities. Get inspired by the creative energy, some great live music and stand up comedy, plus the best in bars and streetfood. Get your tickets now for this unique east end gathering. If you want to test your knowledge in a classic cauldron of competition, head to The Old George for their weekly quiz, hosted by none other than Ewen Macintosh – the quizmaster better known as big Keith from ‘The Office’. Expect deadpan delivery and some genuine brainteasers in the heart of Bethnal Green. Looking for something slightly different to spice up your Valentine’s Day? How about needlework that focuses on customisation of second hand items? Come to St Margaret’s House to learn new skills in embroidery from Moody Bright Designs. With a step-by-step guide and plenty of transfer and thread to practice your stitching on, this could be a way to find new levels of relaxation and mindfulness in 2018. With tea and other refreshments also available, St Margaret’s pull it out the bag again with a perfectly peaceful option. 7pm – Tickets Available here. London’s top comedy/variety/oddity night is back with a world-class cast of fools for Valentines Day. Do this lot care about Valentines Day? Not especially, but getting a good Brainwash is always a treat whether drizzled in faux-romance or not, and this time around, you’re in for a treat, with a lineup featuring Trevor Lock, Shenoah Allen, Lucy Pearman, Robert White, and your hosts Ellis and Rose. Get involved! 7:30pm – Tickets Available here. January seems to have lasted an eternity. 5 Monday’s in one month, with freezing weather to match. Long live February! To make sure you start the month off right, we’ve compiled a list of highlights as usual, picking the best bits Bethnal Green has to offer so you don’t have to! Whether you enjoy politics or not, everyone loves a bargain and that’s exactly what you can expect to find at the Labour Party Winter Jumble Sale. With a range of gadgets, toys, books and kitchenware all on sale at rock bottom prices, pop down to St Margaret’s House for some austerity essentials. You can also donate items that are cluttering up your life – drop them off at 11am on the day. Touchdown at The Star for the screening of the 52nd Super Bowl. With special Super Bowl themed food, special drinks promotion and pre-game entertainment; there will be nowhere better to watch the game and soak up the atmosphere. All tickets come with a free beer and a bag of popcorn to kick things off. What better way to check out the banging refurbishment at one of Bethnal Green’s smoothest venues? Comedy nights can often be extremely expensive, especially in and around East London. 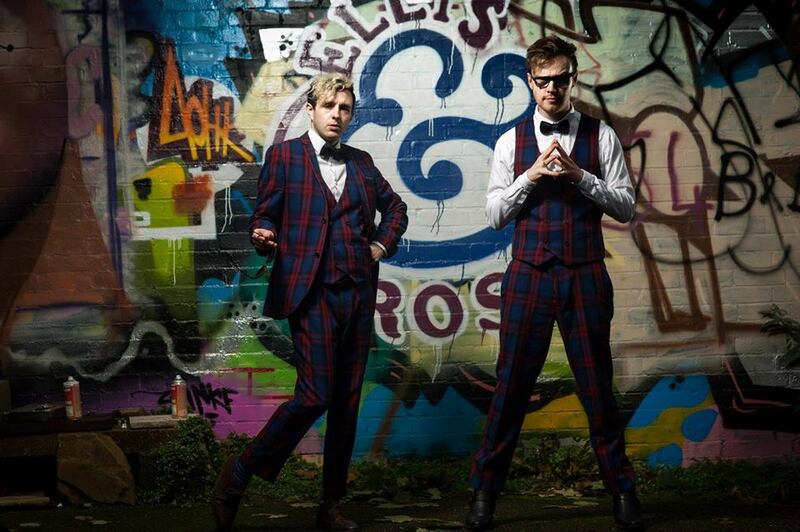 However Rich Mix are showcasing new, exciting young comedians battling it out to be chosen in the heats for their New Acts of the Year series, where 12 will eventually feature in the showcase final. With free entry, go have a laugh on the cheap! and from the team at Oxford House…. “The Green”, our monthly meeting, will meet once again at 6pm, Oxford House, on Tuesday 20th February, to discuss ourlatest business support news as well as taking a look at the issues that are affecting residents in the area. This month, our guest speaker is Michael Smythe, project lead at Phytology and the Bethnal Green Nature Reserve. Michael explores mental and physical well being in our increasingly cramped urban environments. We’re looking forward to hearing how access to nature and complex ecosystems is really important for this. The strength of these meetings is in the guestlist, so please do share this opportunity far and wide; businesses, residents, organisations – all welcome. 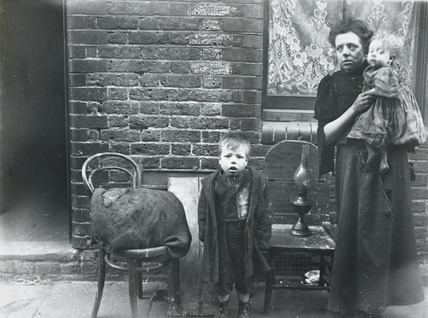 Photo is from Museum of London and shows an evicted matchbox maker, circa 1910, in Bethnal Green. 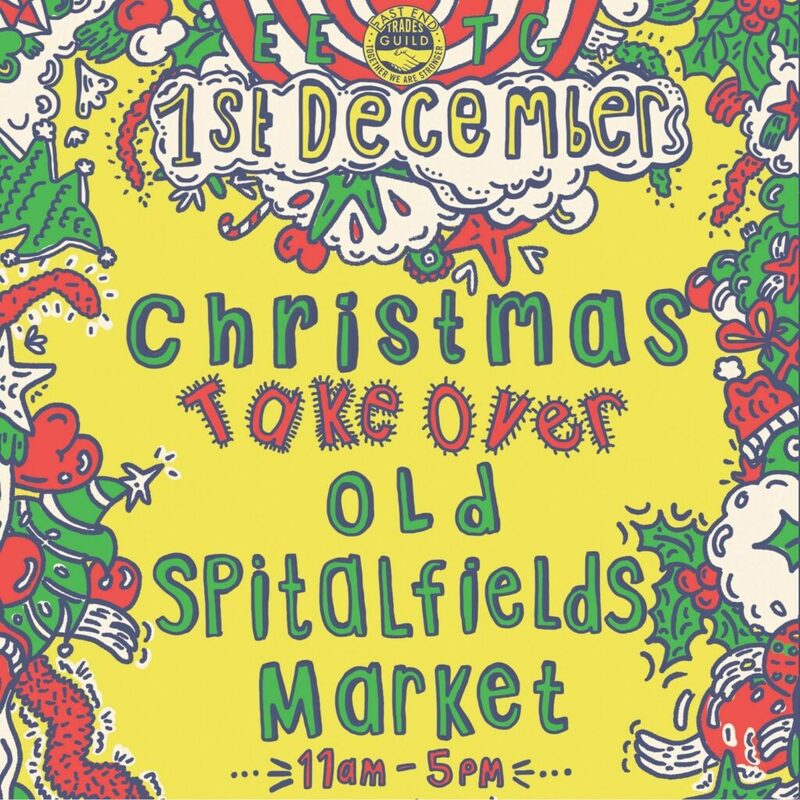 The year has flown by, but to make sure you get off the best start in 2018 we have put together a few activities happening in Bethnal Green that you simply cannot miss. Whilst Brexit has already happened, there was a key demographic that were not allowed to vote within Brexit, even though it affects them the most. There are over 3 million EU citizens residing in the UK, yet they were not allowed to vote in the referendum despite working and paying their taxes. This project by Stephen Bell and Jon Chater aims to give these EU citizens a voice. Alongside photographs of the citizens in their workplace, there will also be text from a short interview conducted with them, to find out how Brexit has affected them on an emotional level. This exhibition is incredibly interesting as it shares real life stories and shows what Brexit means, and how it has directly affected people beyond the contest in Westminster. The private view will take part on the 5th of January with beers and wine also available. The holidays are always rough on the wallet; however this workshop at the V&A Museum of Childhood can help you recover from this money stress. Led by professors from London School of Economics, financial teachers from MyBnk and others, this is an invaluable workshop on how kids learn about money, the challenges that arise and how we can aid their learning from an early age. This interactive workshop promises to be fun as well as incredibly useful for children as well as adults. The Green will meet again in January to discuss the regeneration programme within Bethnal Green and engage residents in discussions about how Bethnal Green can be improved. During the meeting, some of the exciting plans for 2018 will also be shared. Oxford House is keen to support businesses and residents in the area and the best way to do that is by joining the discussion. On Friday the 26th Oval Space will indulge in everything Scottish in honour of Robert Burns – the legendary Scottish poet. The in-house Scottish chef has come up with an amazing 3 course authentic Scottish menu (with vegetarian alternatives). Alongside the menu there will be a whiskey dram as well as whiskey cocktails. Whether you are a fan of poetry, culinary cuisine or even whiskey this promises to be a great way to spend the last Friday of January. As well as the food there will also be entertainment provided on the night courtesy of Ceilidh Tree.